STEM is huge in schools right now, but from what I hear many parents don't really know what it is or why it's so important. And some teachers may be not sure how to tackle it, where to fit it into their timetables and how to come up with engaging STEM activities into their classrooms. To elaborate on these subject areas, in STEM we explore the science of how things work, we keeping up to date with new technologies which are ever evolving, we get to be mini engineers to design and construct our own machines and finally we use mathematical skills to do it all! You may have also heard of the acronym STEAM with the addition of A for Art, and I recently came across METALS (where the L stands for Literacy). So the tricky thing seems to be finding activities which actually tick all the boxes. A rich experience where children are immersed in some (if not all) of these areas whilst exercising all parts of their brain. The future occupations of our children may have not even been invented yet, so having these STEM skills under their belts and the drive to keep up with new technologies and innovations is why STEM is so important. The role of early childhood educators is to plant the seeds of curiosity in our students. We naturally integrate our learning experiences across subject areas, making STEM come more naturally than perhaps the later years when lessons are more clear cut and black and white. We are all about hands on learning and above all making learning FUN! This should be at the forefront of our minds when planning our STEM lessons. 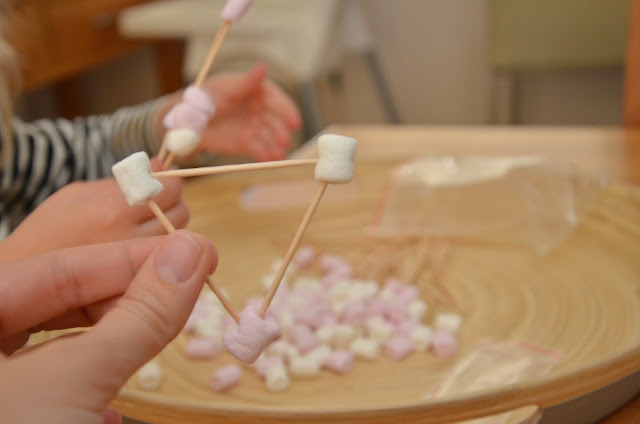 I had a flick through my blog archives to look really closely at some of the activities that we have done in the past to see if any of them were STEM without me even realising it! STEM is everywhere. You'll find it if you look closely enough. Design a zoo animal enclosure using wooden blocks (3D shape). Trace mirror block shapes, examine reflections and draw what you see. (Better yet - construct a tower, bridge or other structure using these mirror blocks). Build bridges using DUPLO for your train set. And as above - Lego/Duplo is a fantastic construction material to encourage STEM learning. In true Adelaide style - I was approached by the lovely Karlie from STEM Nest to collaborate with me! We quickly found out that we were both from Adelaide, her son attends the primary school that I went to, and she works 5 minutes from where I live! (If you live in Adelaide you'll understand that this kind of thing happens all the time! #thatsadelaide). 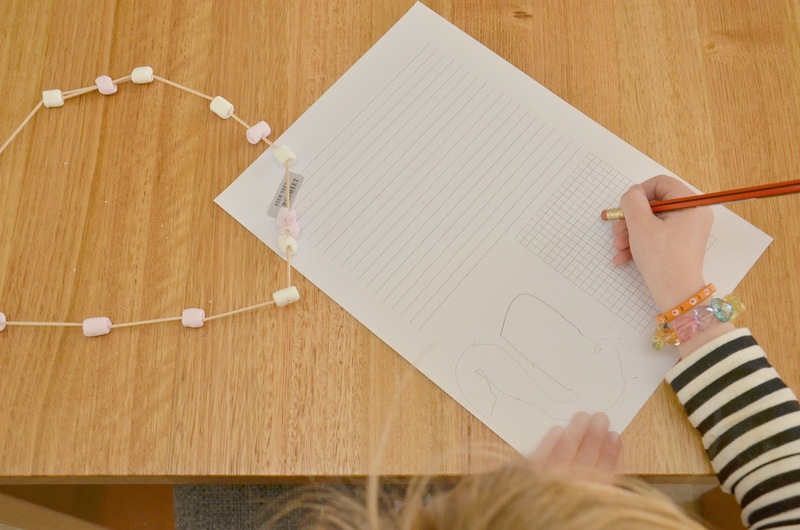 Karlie creates monthly STEM activity kits for all school aged children. In one monthly pack, there are 4-5 activities to be completed - one per week. All materials are included as well as a detailed instruction card and an explanation of what your child will learn in relation to STEM. Activities are all linked to the Australian curriculum - and look like a lot of fun! It's so important for children to see real life examples of STEM in action. Here's a super quick snap shot of one of the kits, but there will be a more detailed blog post to come soon, showing the activities for all school aged children. Karlie will also be at the upcoming Lollipop Markets on August 20th if you're an Adelaidian interested in seeing some more of her products up close. The task? 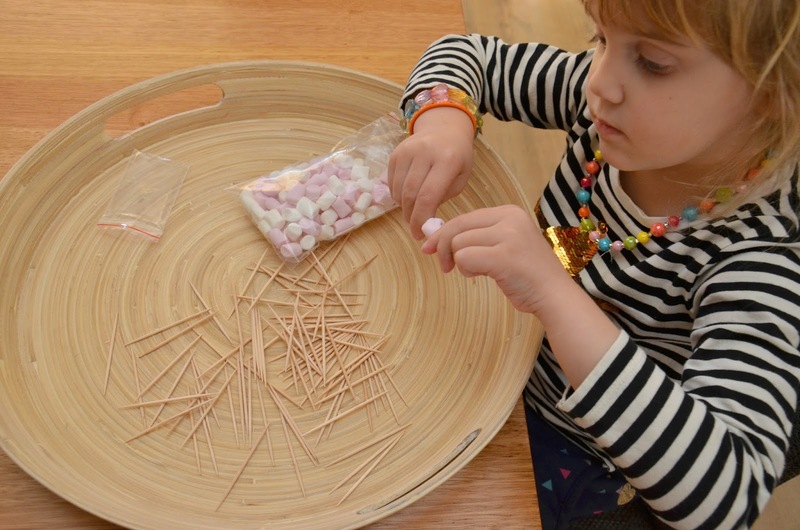 Design and construct a structure using the marshmallows and toothpicks. (We decided to focus on 2D shapes). Check out Miss M in that photo above - she looks like a little school girl already with her pencil and paper, recording what she made with the marshmallows and toothpicks. I'm so looking forward to bringing you some more from STEM Nest activity kits in the coming weeks!